To qualify, a partner must have 5,000 or more active listeners a month on Stitcher. Active listeners are defined as listener who play more than 30 seconds of a piece of audio and have listened in the current calendar month. 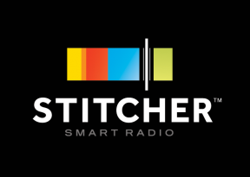 You can find your current active listeners number in the Stitcher Partner Portal. So this is not active listeners per show (unless you only have one show). It is 5000 active listeners per partner. Listens reset to zero on the first day of each calendar month. Checks will not be sent until they are greater than $100. All accounts will be credited forward until a check can be paid greater than $100. Checks will be sent quarterly. To opt in you have to agree to the updated agreement in the partner portal. To opt out you send an email. The amount paid is dependent on Stitcher’s total revenues less operating expenses, then divided amongst qualifying partners.